A major fire has taken hold at a 230-year-old church in Blackburn yesterday. 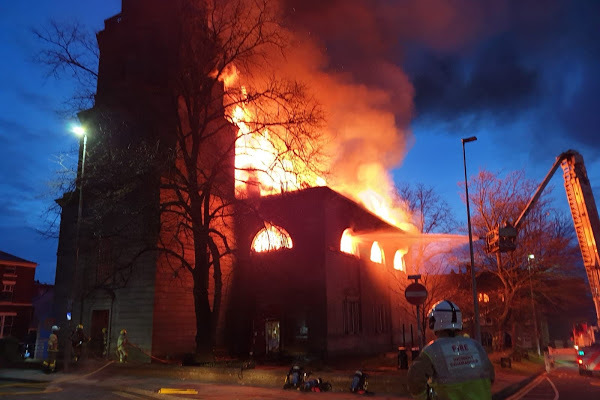 Footage on social media shows the building appearing to have been gutted by the flames which broke out shortly before 5.22am. The building is the oldest church in Blackburn. The blaze broke out in the early hours of yesterday near a shopping complex in the heart of the Lancashire town. 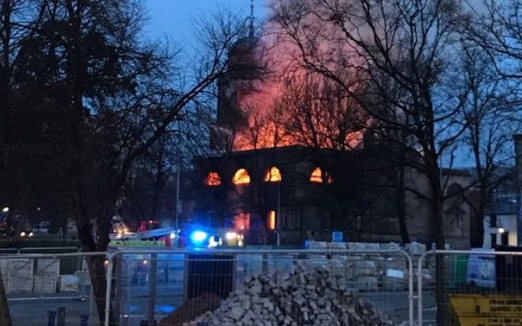 Peter Howell -Jones, Dean of Blackburn, tweeted that the fire was 'very sad to see'. He added: "Just praying no one was hurt". The church, finished in 1789, closed its doors to active worship on Easter Sunday 1975. It is not known if anyone was inside when the fire broke out. Many residents have taken to social media to post shocking video and images of the huge blaze. One Twitter user said: “Sounds like things are exploding as well.